I sit down at my computer and boot up Civilization: Beyond Earth, I throw the game on Apollo Difficulty, add two human players, and get to work. I am building every Wonder, researching all available technologies, and buying as many tiles as possible. I am farming achievements, solely because I can, and it is a miserable waste of time... yet here I am doing it anyways. 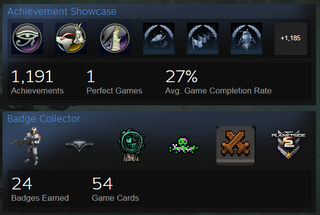 Steam Achievements are inherently stupid. They don’t really net you anything of value, and when was the last time you thought to yourself “You know what, I’m going to browse my friend’s Steam Profile page to check out his Achievements list and validate whether he’s worthy of being called a gamer or not”? I’d imagine a sum total of never. There is no air of legitimacy about Steam Achievements. Having a high percentage of achievements per game, or fully completed lists per game, doesn’t suddenly net you a 50% off coupon for being awesome. It’s a time-sink. One that gives momentary blips of “Hey I did the thing!”, immediately followed by that feeling going away and turning your eyes to the next goal. What reasoning does my brain have for performing such actions? Why do I feel the constant gripping need to Alt Tab during games and check the Achievements list for something I might have missed or can easily complete? Why did Shadowrun: Hong Kong having some hidden achievements bother me? None of this matters, and yet for some inane reason it does to me. I can’t even hide behind some thin veneer of “It brings me joy” or, “I just do it for fun”. Having an achievement that only 0.01% of the populace who own Civilization V on Steam have unlocked doesn’t make me feel elite or special. Grinding Wonders and Alien Nest destructions in Civilization: Beyond Earth was not fun. So why in the world do I keep searching, and unlocking, further achievements? Why do I plot entire campaigns in XCOM: Enemy Unknown around taking one particular soldier into every battle and never losing him? Surely it must all be for some greater purpose, surely my efforts are not being wasted upon trivial percentages and “Steam Levels”. Yet the reality slaps me in the face harder than my ex-girlfriend, Steam Achievements are stupid... but I’ll probably go unlock some new ones in FFVII tonight.